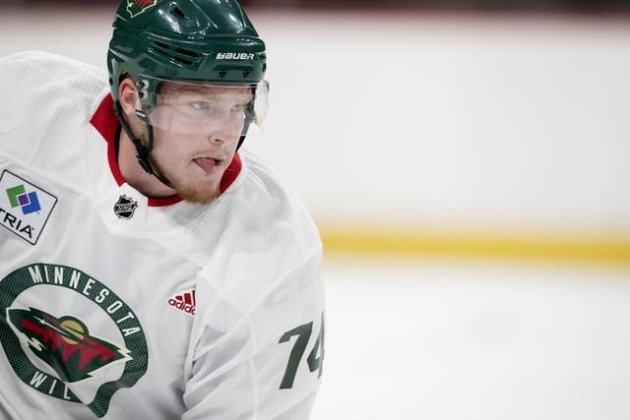 Before continuing its preseason schedule Saturday at home against the Avalanche, the Wild issued another round of cuts – trimming its roster by 17. The team assigned goaltenders Kaapo Kahkonen and C.J. Motte, defensemen Louie Belpedio, Gustav Bouramman, Eric Martinsson and Brennan Menell and forwards Colton Beck, Gerry Fitzgerald, Pavel Jenys, Chase Lang, Gerald Mayhew, Dante Salituro, Mason Shaw and Dmitry Sokolov to Iowa of the American Hockey League. Forwards Landon Ferraro and Cal O’Reilly and defenseman Hunter Warner were placed on waivers and will be assigned to Iowa Sunday if they clear. This leaves the Wild with 35 players, a much more manageable number on the brink of its final week of camp. Among those still hanging around are forwards Matt Read, Mike Liambas, Kyle Rau, Sam Anas and Justin Kloos and defensemen Ryan Murphy, Matt Bartkowski and Carson Soucy. More on Bartkowski's journey here. Forward Alexander Khovanov and defenseman John Thrower are also still listed on the roster. Thrower has an upper-body injury, and Khovanov was banged up. The team wanted to make sure he was at full strength before sending him to his junior team (Moncton in the Quebec Major Junior Hockey League). That assignment could also happen Saturday. 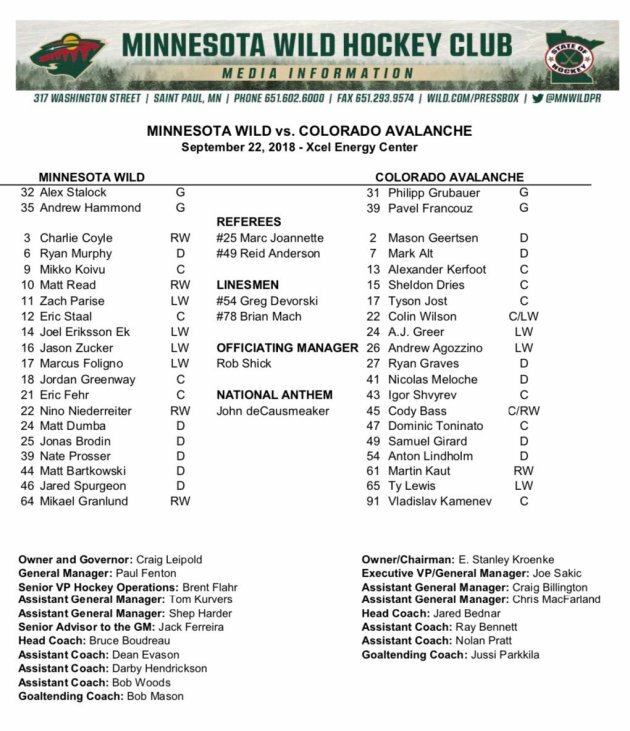 Here are the lineups for Saturday’s tilt.